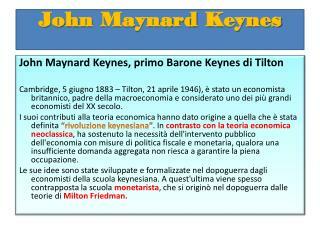 John Maynard Keynes. 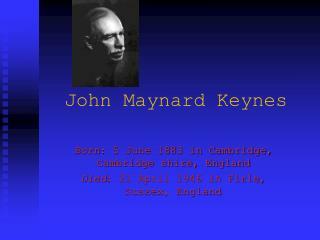 Born : 5 June 1883 in Cambridge, Cambridge shire, England Died : 21 April 1946 in Firle, Sussex, England. 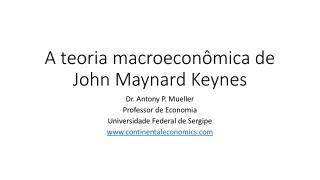 John Maynard Keynes. 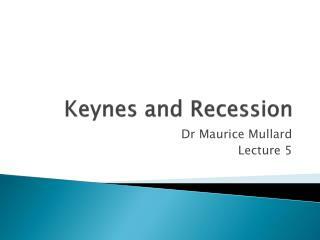 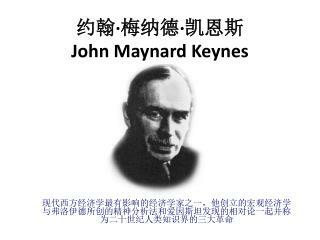 John Maynard Keynes was probably the most influential economist of the first half of the twentieth century. 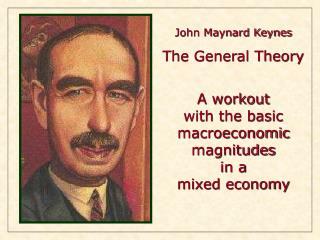 John Maynard Keynes was probably the most influential economist of the first half of the twentieth century. 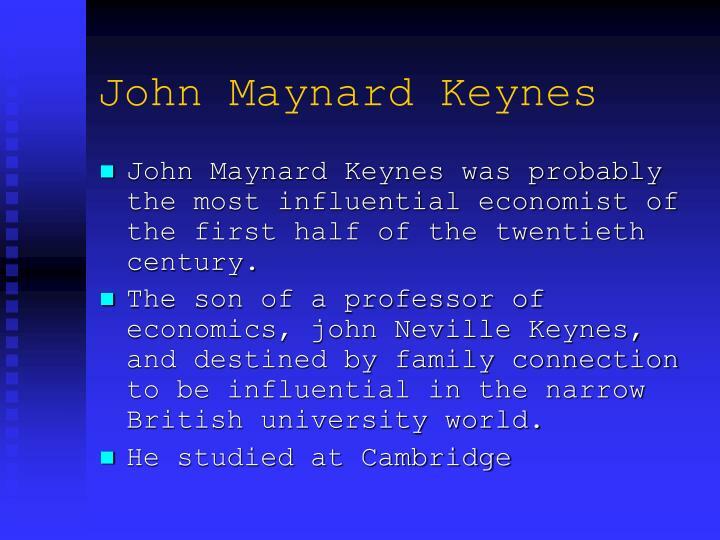 The son of a professor of economics, john Neville Keynes, and destined by family connection to be influential in the narrow British university world. 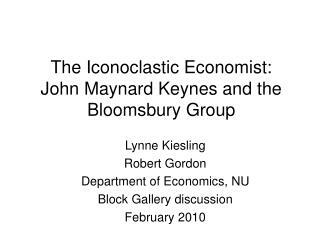 That glittering group of bohemian thinkers and doers who revolted against the manners and morals of Victorian England included the great economist john Maynard Keynes; Virginia Woolf and her husband, Leonard, a famed British civil servant; The novelist E.M. Forester; And any number of poets, philosophers, artists and titled eccentrics. 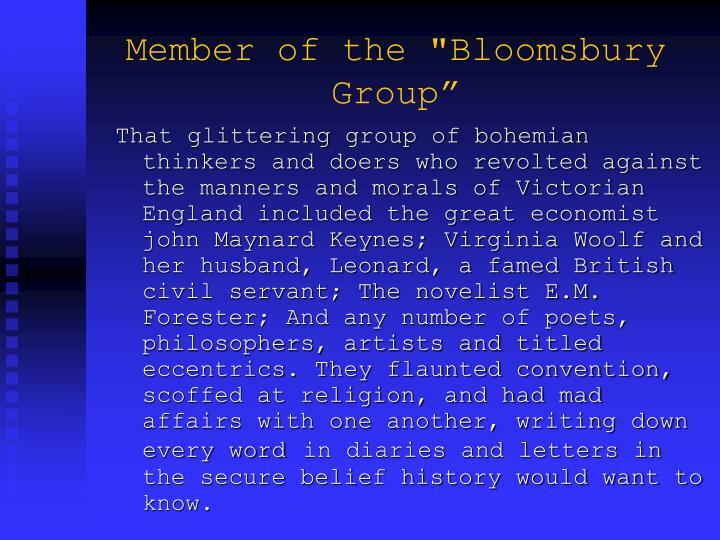 They flaunted convention, scoffed at religion, and had mad affairs with one another, writing down every wordin diaries and letters in the secure belief history would want to know. 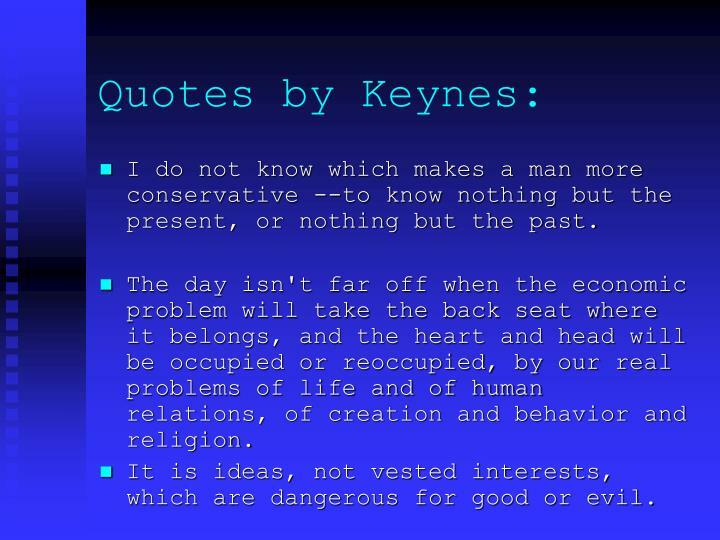 I do not know which makes a man more conservative --to know nothing but the present, or nothing but the past. 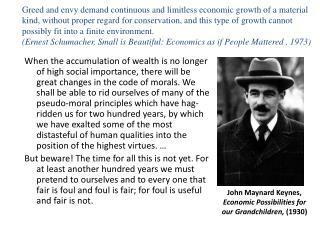 The day isn't far off when the economic problem will take the back seat where it belongs, and the heart and head will be occupied or reoccupied, by our real problems of life and of human relations, of creation and behavior and religion. 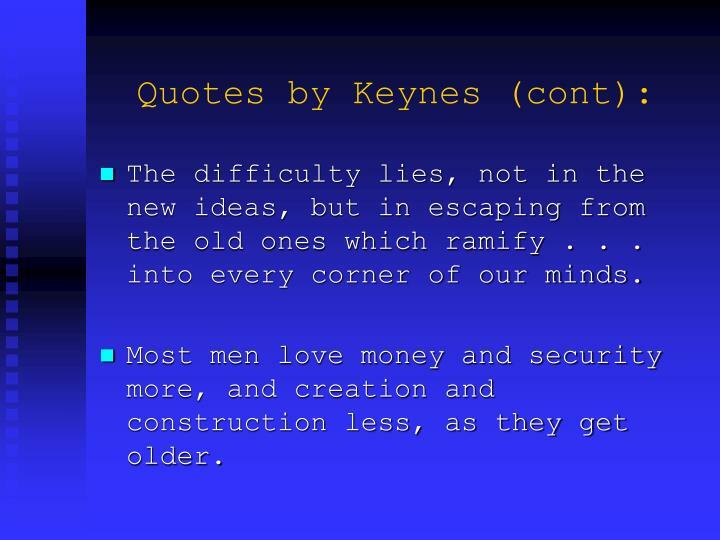 The difficulty lies, not in the new ideas, but in escaping from the old ones which ramify . 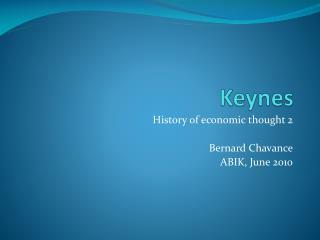 . . into every corner of our minds. 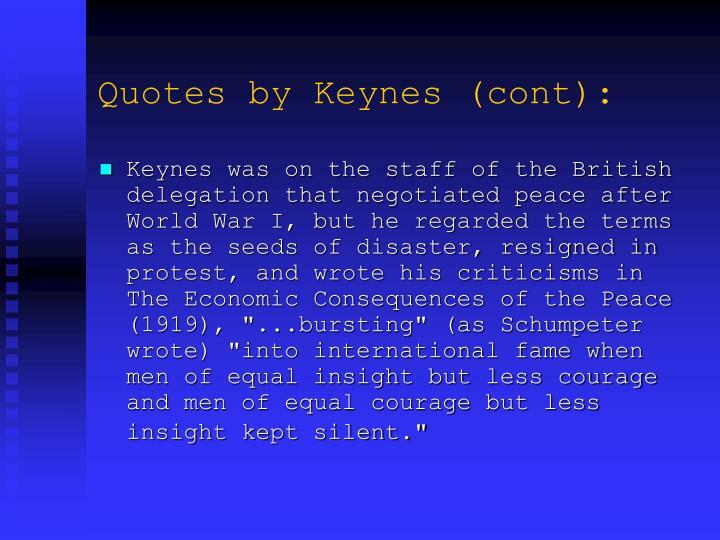 Keynes was on the staff of the British delegation that negotiated peace after World War I, but he regarded the terms as the seeds of disaster, resigned in protest, and wrote his criticisms in The Economic Consequences of the Peace (1919), "...bursting" (as Schumpeter wrote) "into international fame when men of equal insight but less courage and men of equal courage but less insight kept silent." 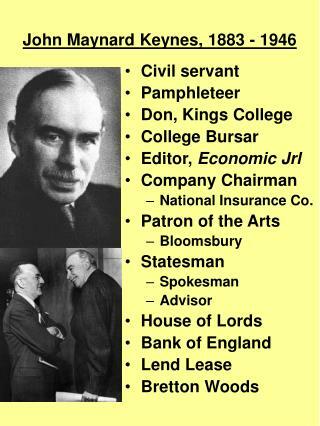 Between the wars he worked with the British treasury and increase the wealth of the treasury by performing brilliant international transactions. He was an economist who made important contributions to probability theory and mathematical economics. 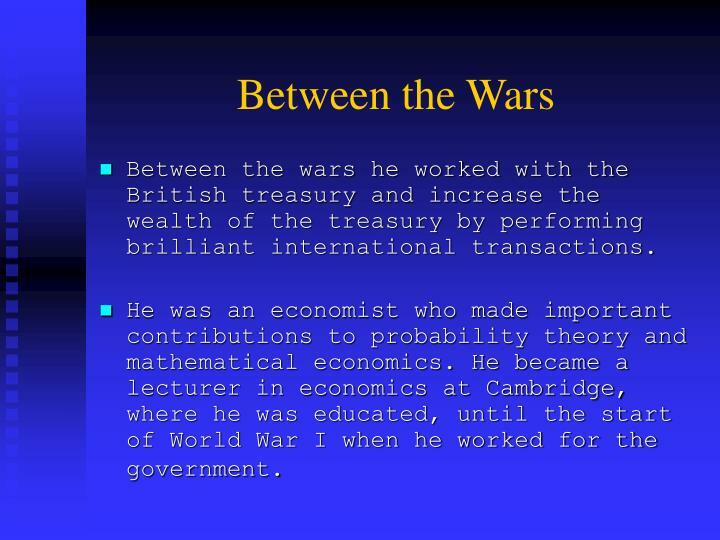 He became a lecturer in economics at Cambridge, where he was educated, until the start of World War I when he worked for the government. 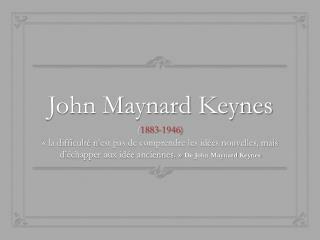 In 1921 his Treatise on Probability was published although it had been completed 10 years earlier. 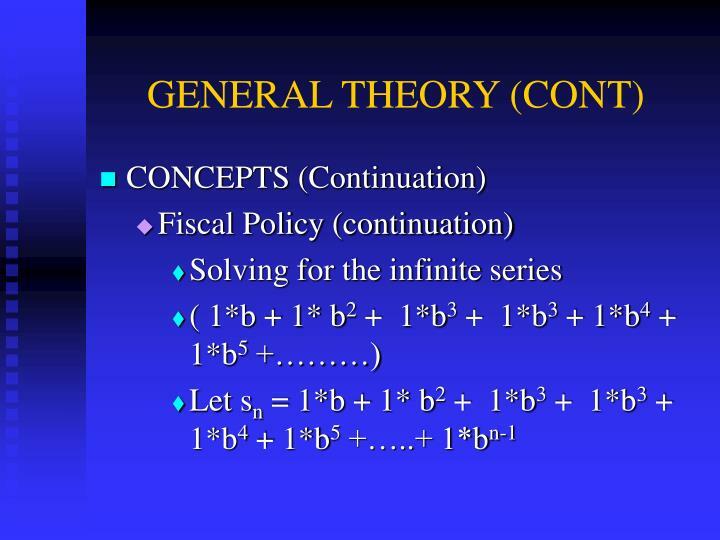 It was an attempt to put probability on a firm mathematical basis. 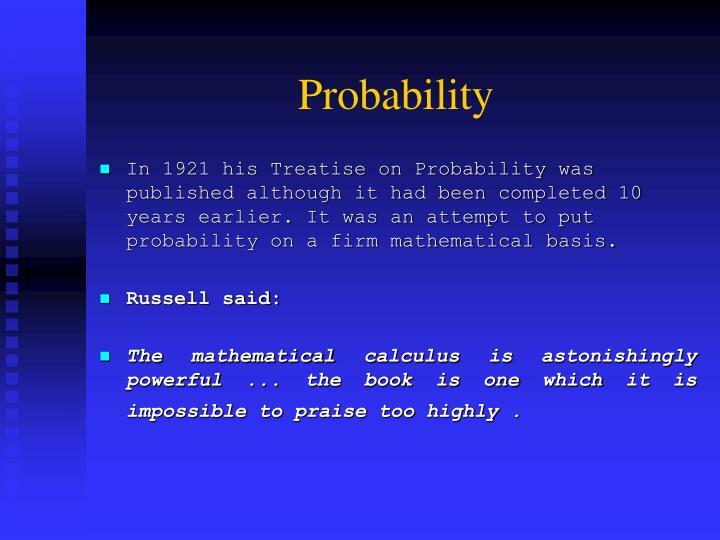 The mathematical calculus is astonishingly powerful ... the book is one which it is impossible to praise too highly . 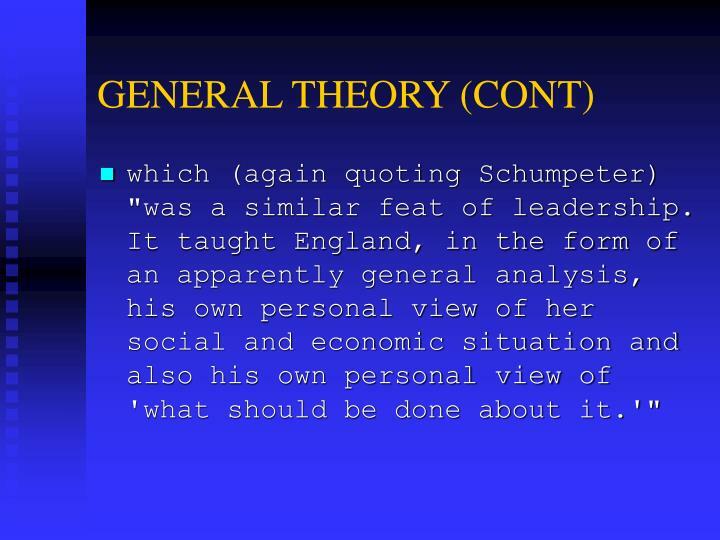 which (again quoting Schumpeter) "was a similar feat of leadership. 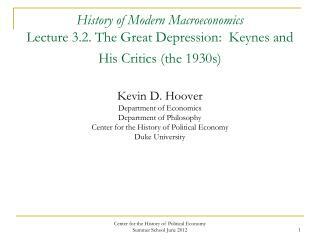 It taught England, in the form of an apparently general analysis, his own personal view of her social and economic situation and also his own personal view of 'what should be done about it.'" 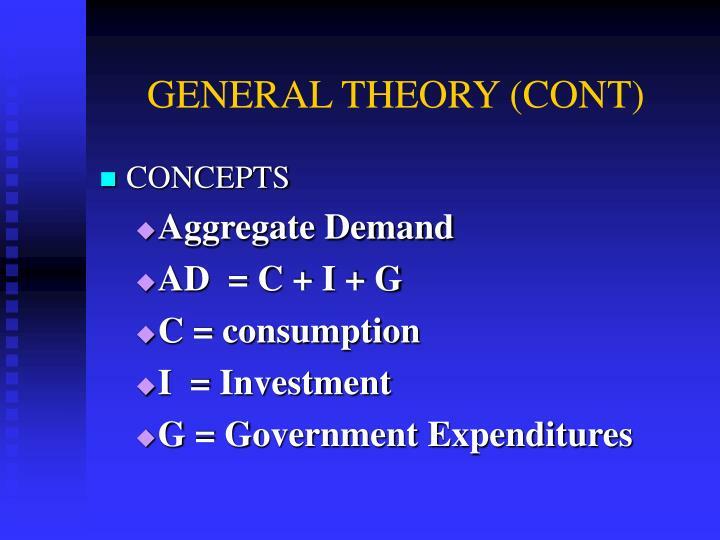 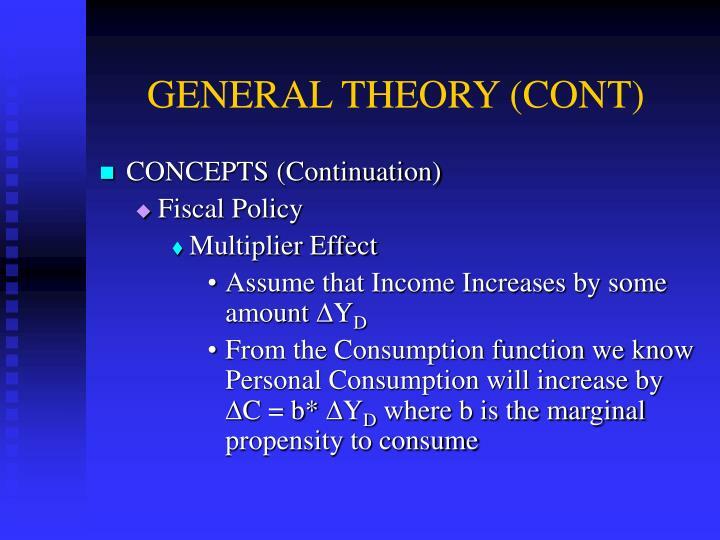 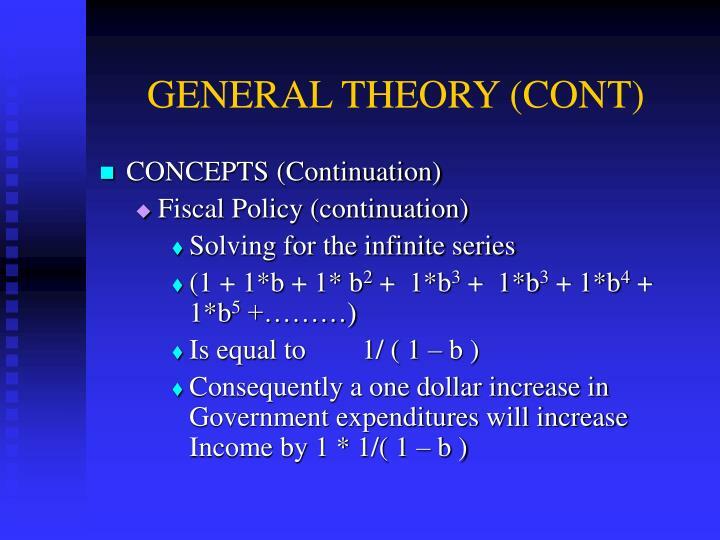 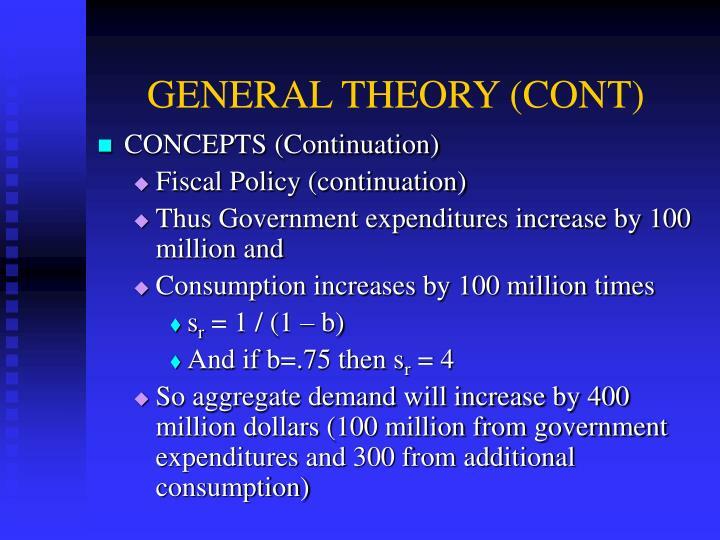 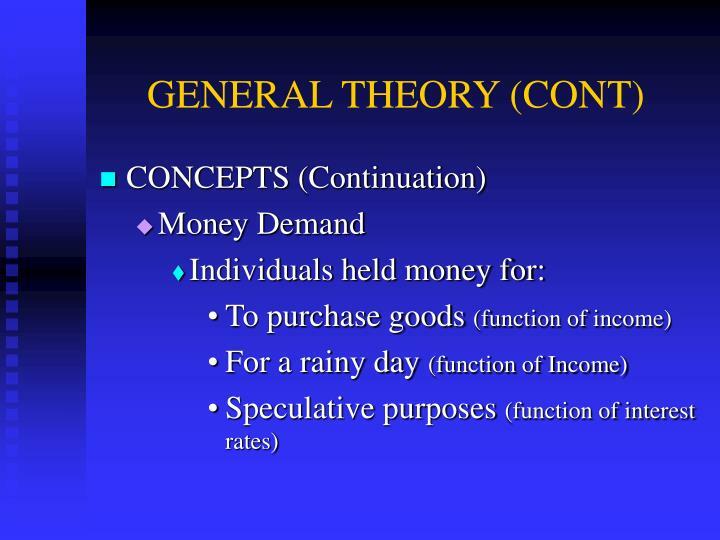 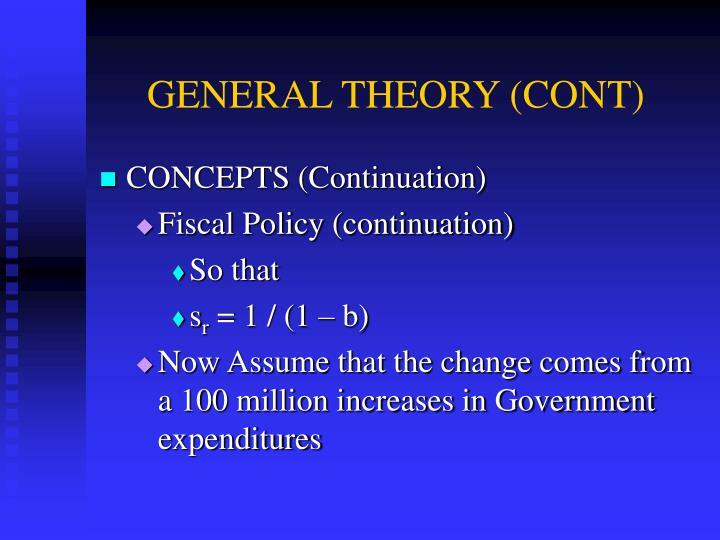 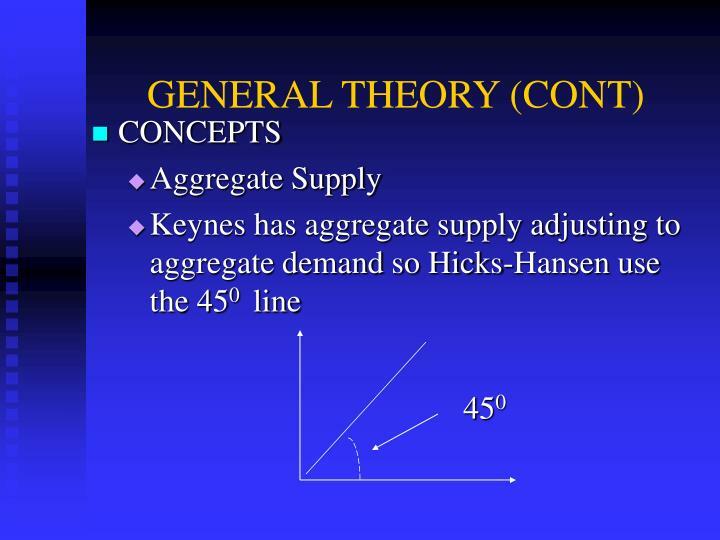 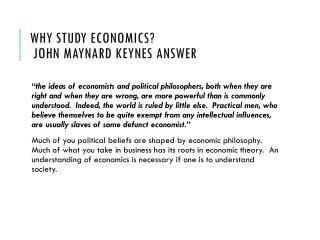 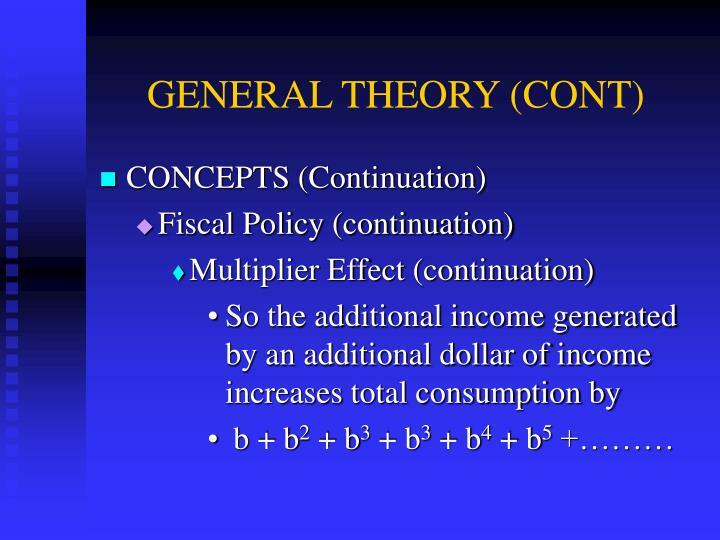 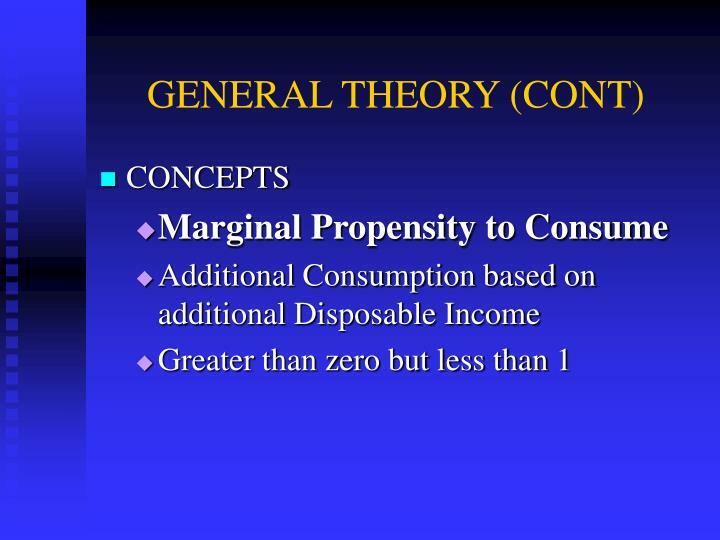 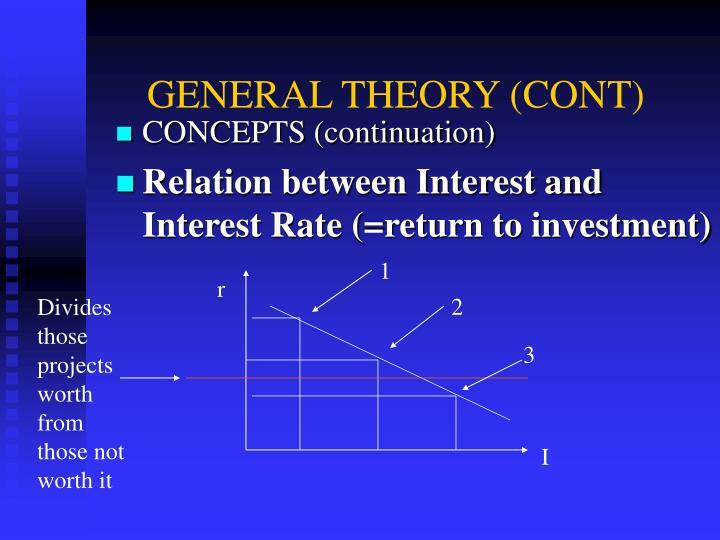 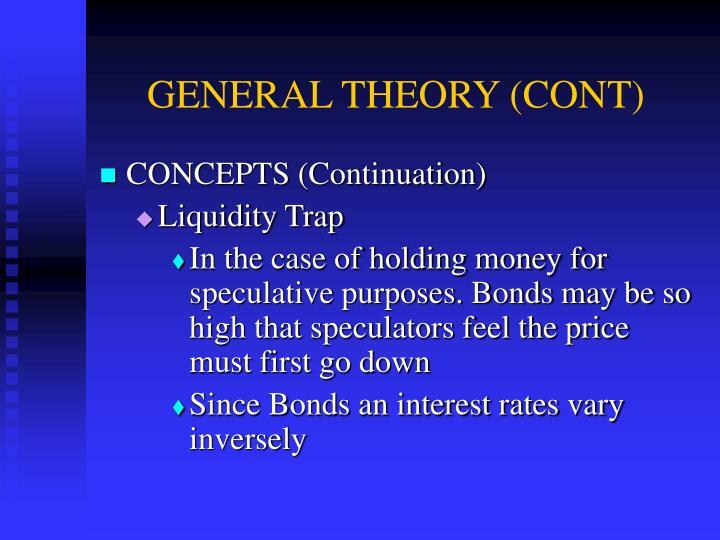 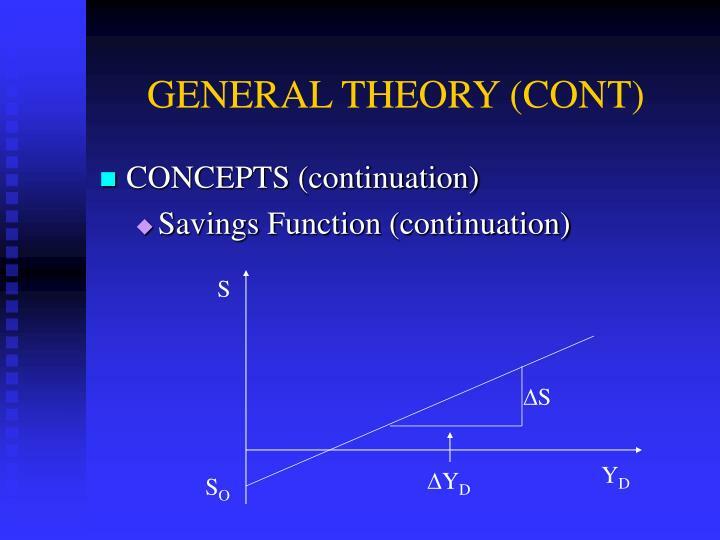 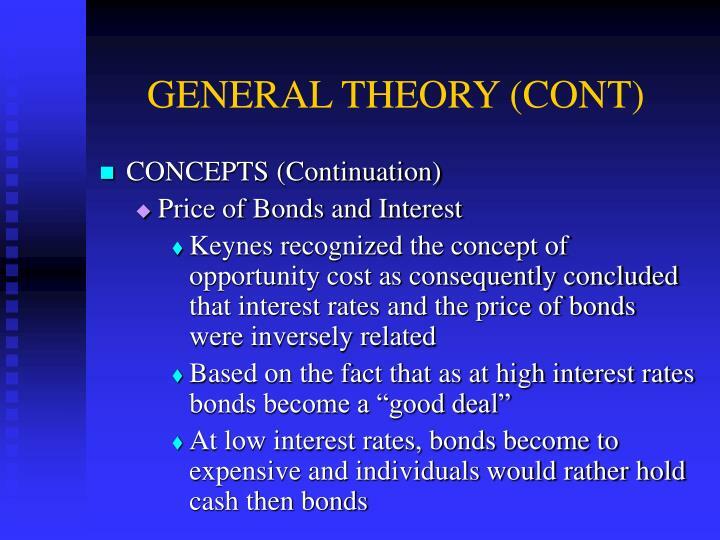 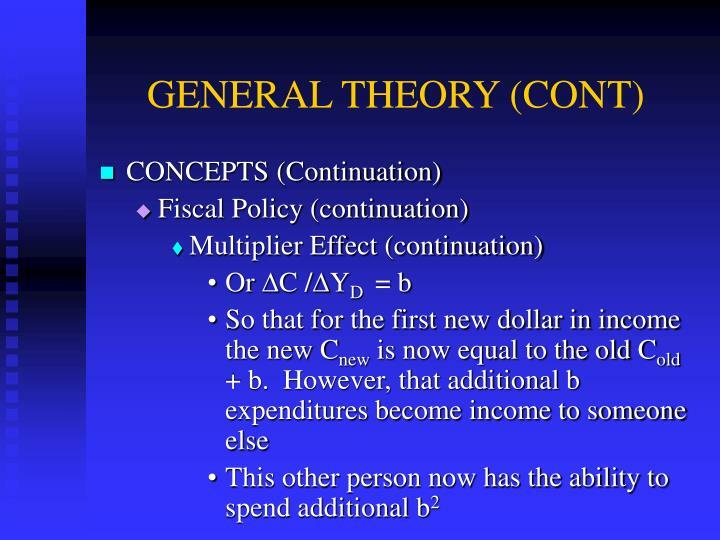 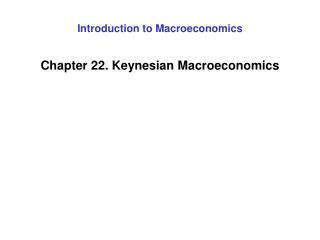 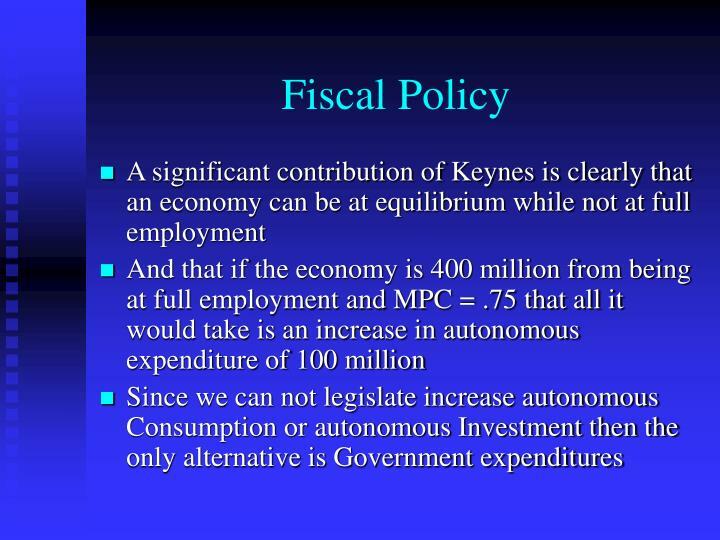 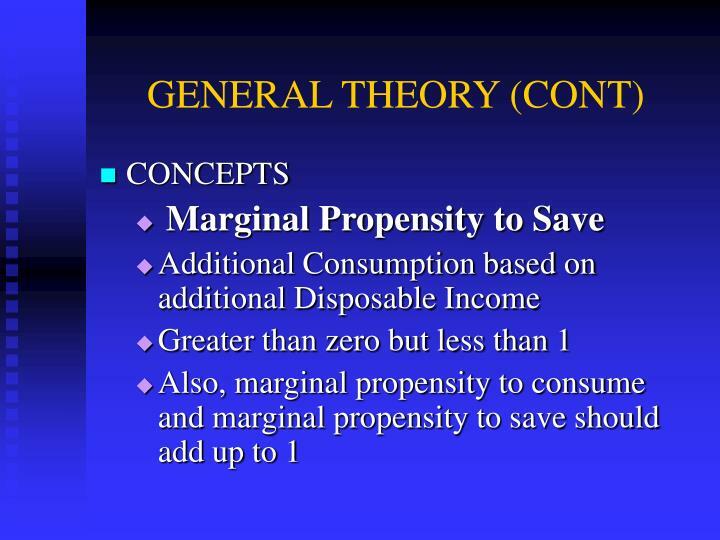 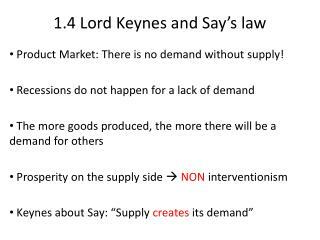 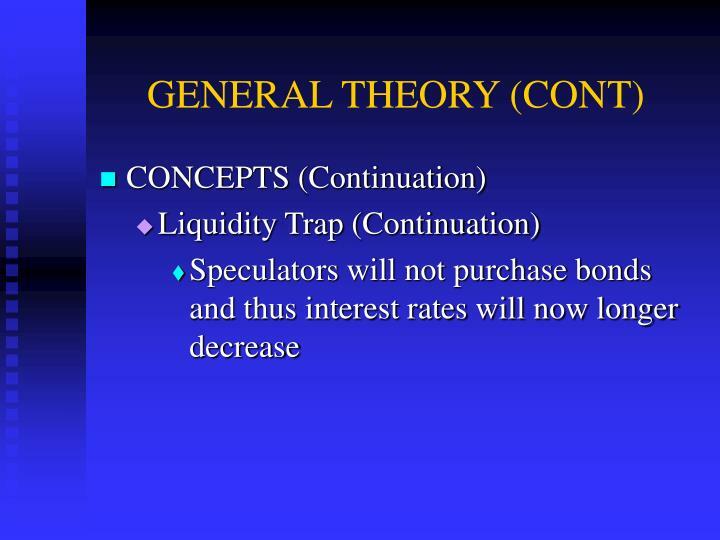 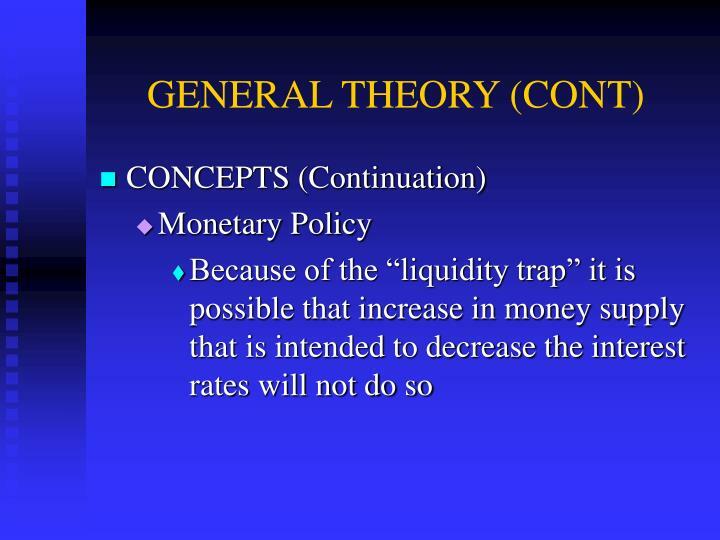 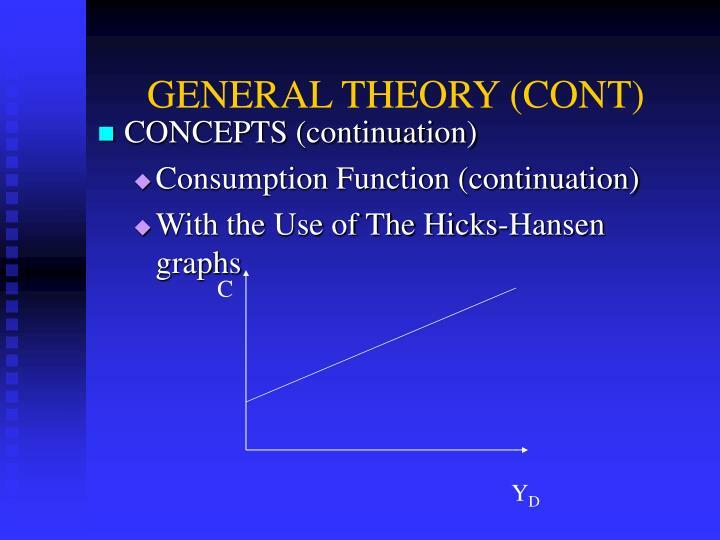 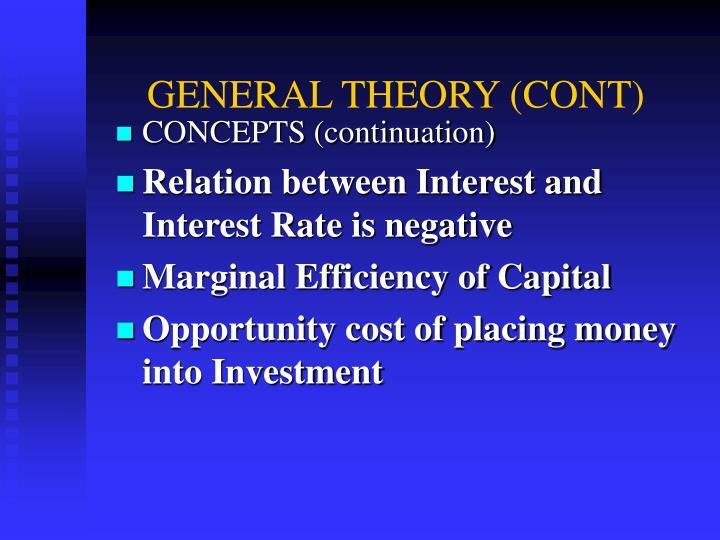 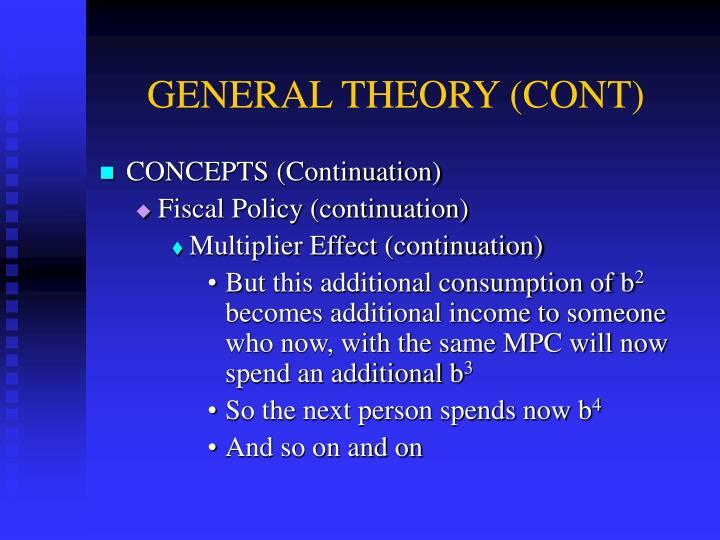 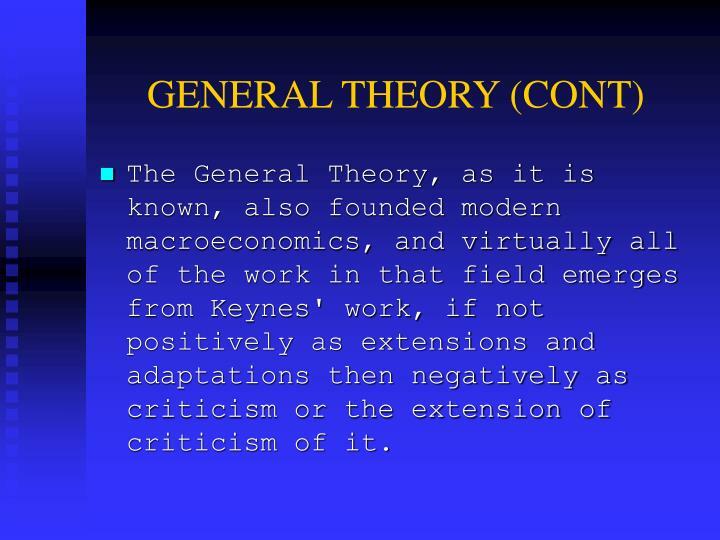 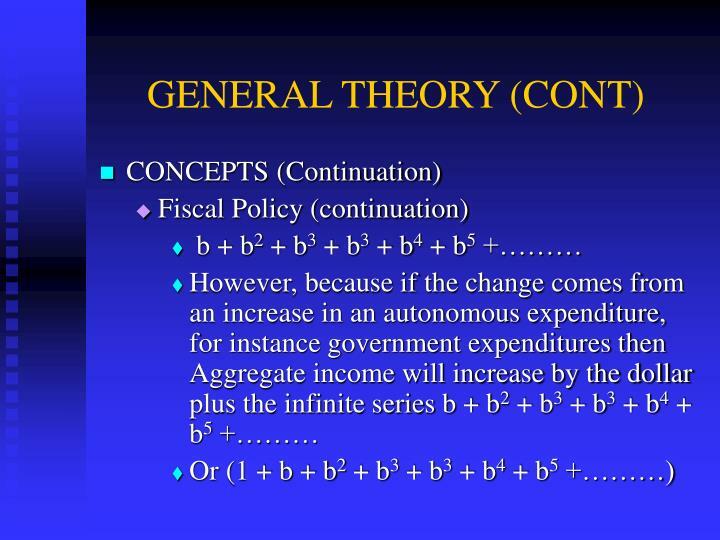 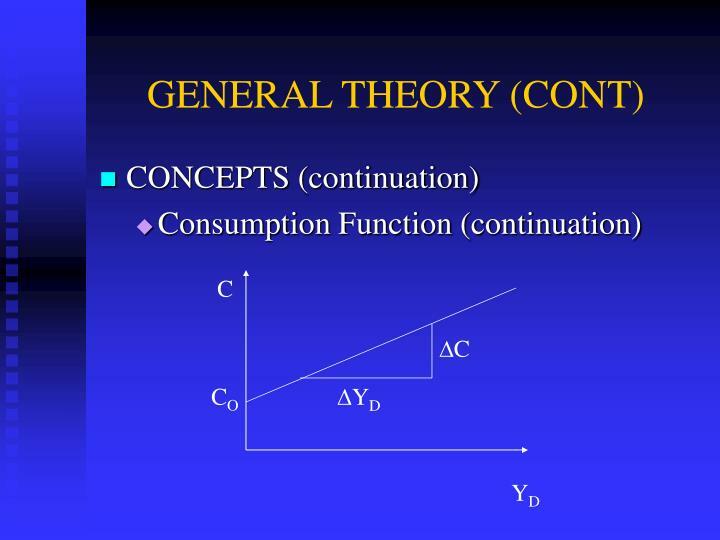 The General Theory, as it is known, also founded modern macroeconomics, and virtually all of the work in that field emerges from Keynes' work, if not positively as extensions and adaptations then negatively as criticism or the extension of criticism of it. 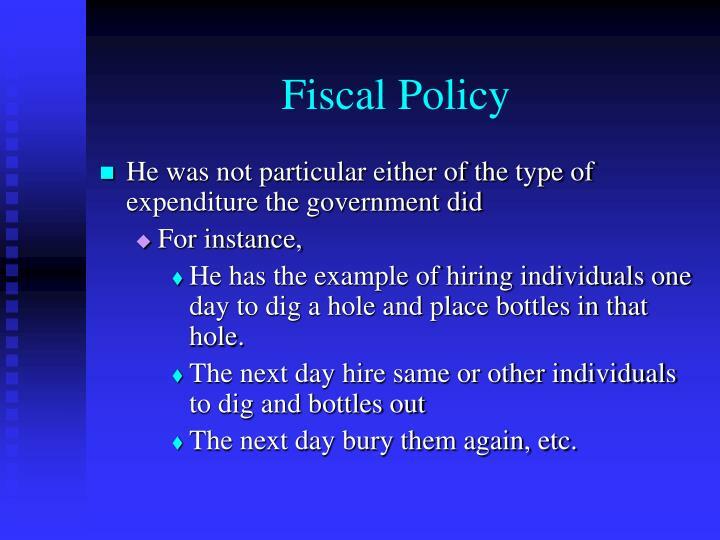 He has the example of hiring individuals one day to dig a hole and place bottles in that hole. 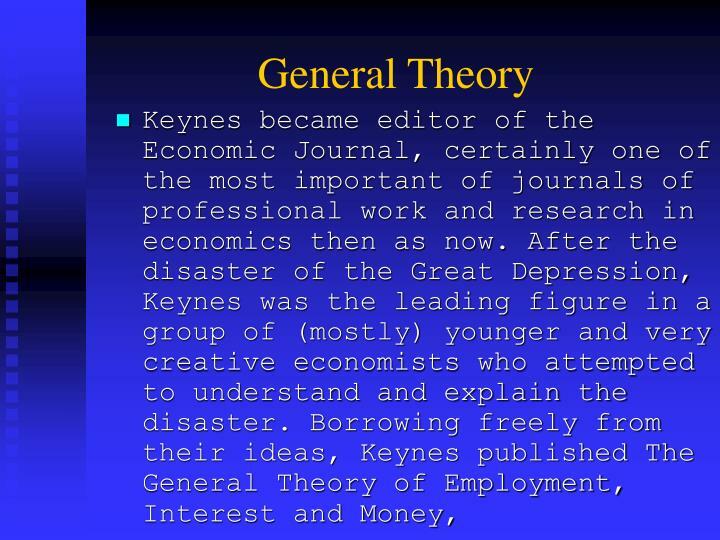 The next day bury them again, etc. 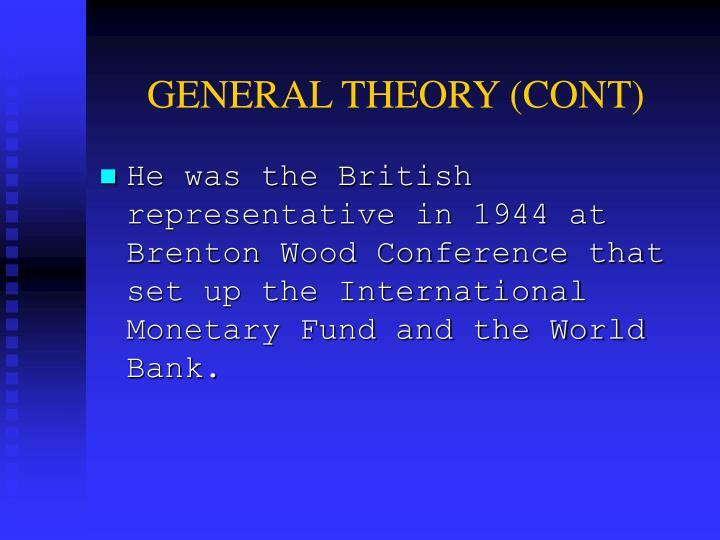 He was the British representative in 1944 at Brenton Wood Conference that set up the International Monetary Fund and the World Bank. 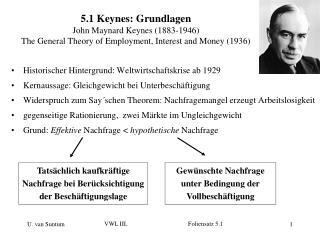 Geldnachfrage (Keynes) -. 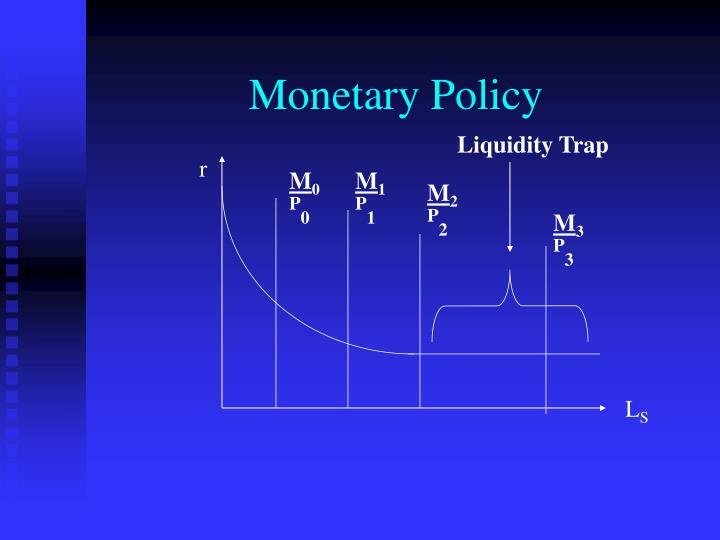 i. zinssatz und liquiditäts-präferenz. 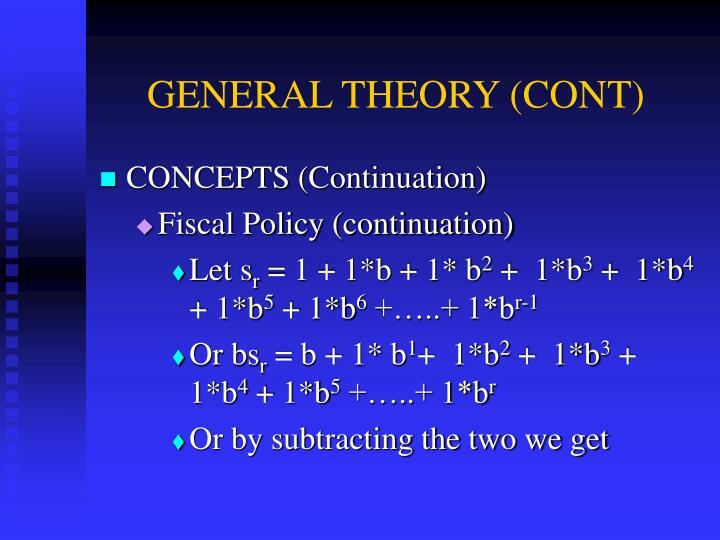 l=l t +l s. l t =f(y). 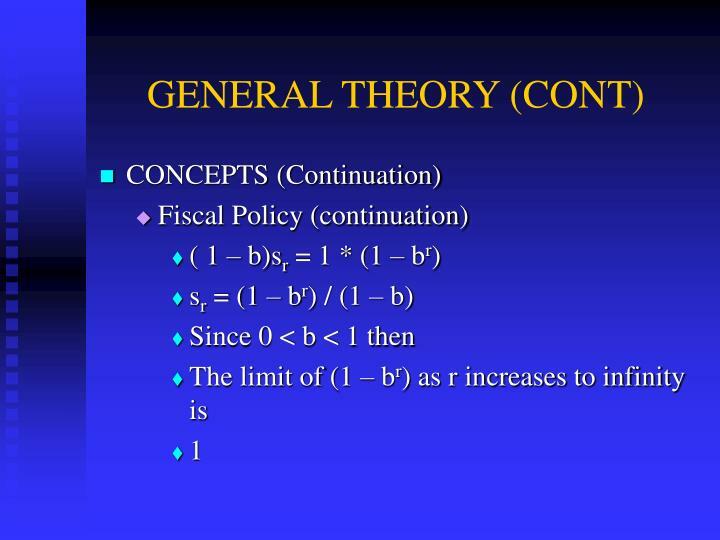 l s =f(i). 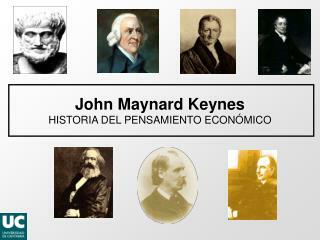 l. geldmarkt (keynes). 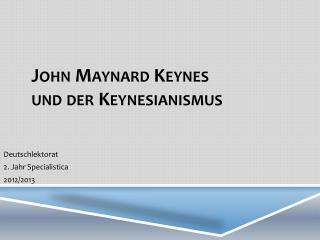 m. i. geldmenge angebot und nachfrage. 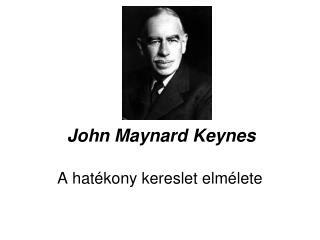 i *. 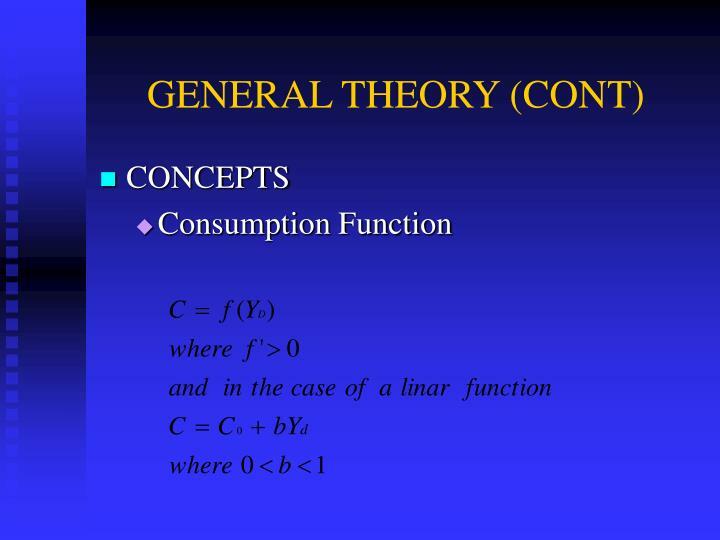 l=f(y,i). 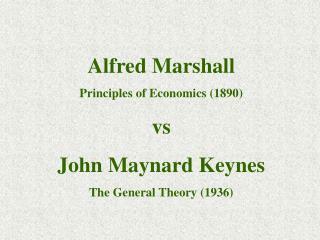 l,m. 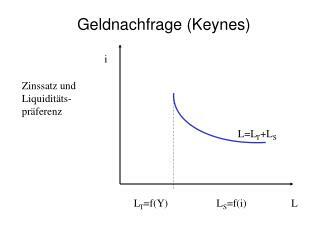 geldmengen. 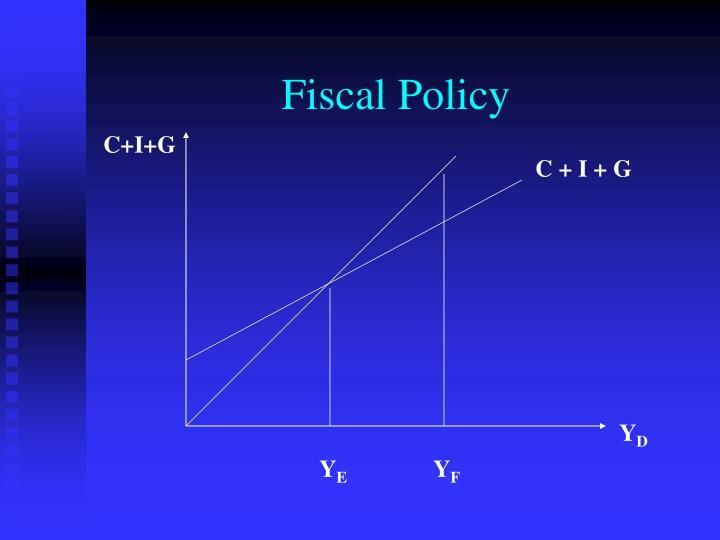 verbindlichkeiten. 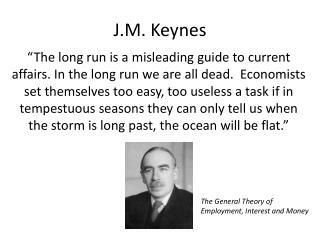 forderungen.